You know how it is: you’re running late for work, you forgot to iron your shirt and there’s no way you can leave the house without having a heavy caffeine hit first. Here’s the solution: a mug and iron in one. Just try not to slosh coffee all over your work shirt. You need to eat those yummy noodles and you need to the eat them NOW. Apart from the fact they’re delicious, you’ve only got a fraction of your lunch break left. But they’re boiling hot! And you don’t want scalding noodle juice dripping all over your chin and your chest. The solution? 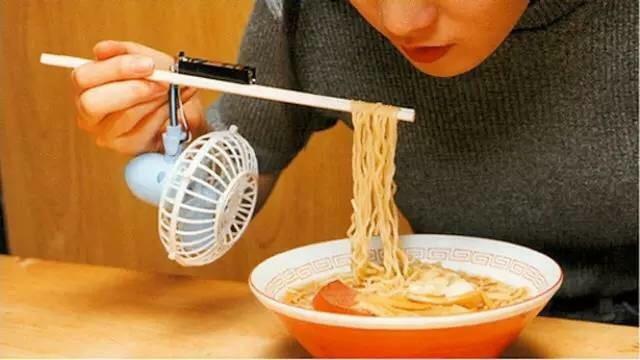 This elegant ramen fan, which cools the noodles on their journey from the bowl to your mouth. Another one for busy lunchtimes. You’d love to get away from your desk, but there’s just far too much paperwork to do. 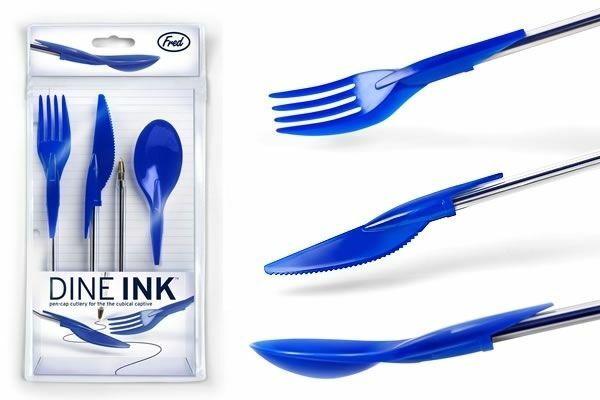 Fear not: use ‘Dine Ink’, the cutlery-and-pen-in-one. Great for teachers with stacks of marking to do. Just try not to get food stains on your students’ exam papers. The opposite of a time-saving advice. Why have a boring boiled egg when you can mould it into something interesting? Just take the slimy, soft-boiled egg, squish it into one of these moulds, let it cool, unclasp it and voila! You have an animal-shaped snack. With all kinds of options available from chicks to footballs, there’s an egg mould to suit just about everybody. Why use a boring old oven to cook flatbreads when you can employ artificial intelligence to do the job? 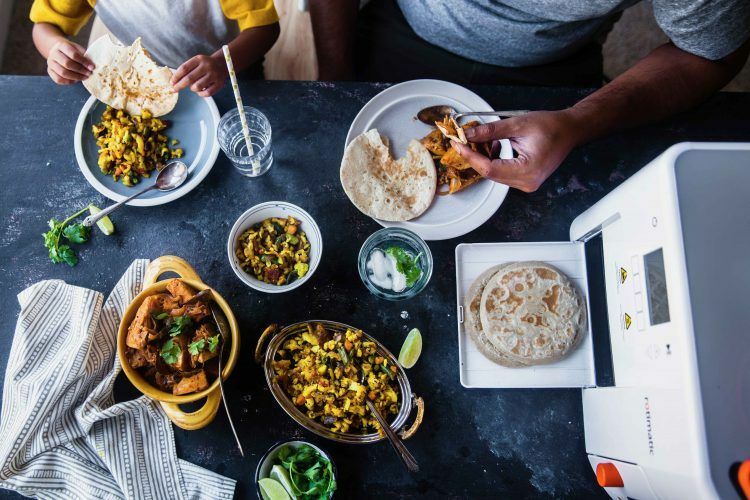 The robotic Rotimatic claims to measure, dispense, mix, knead and puff perfect rotis, before spewing them out of a slot, all in just 90 seconds. Fed up of flatbreads? Fear not: the Rotimatic is connected to The Cloud, giving users access to up-to-the-minute recipes for other delicious bread items, including pizza bases and tortillas. This kitchen gadget is definitely not budget-friendly, but if like your rotis quick, convenient and delicious, it’s a worthwhile investment. Why would anyone want a radish to look like a radish when they could have a radish that looked like a Super Mario toadstool, AKA fly agaric, AKA the most poisonous mushroom going? 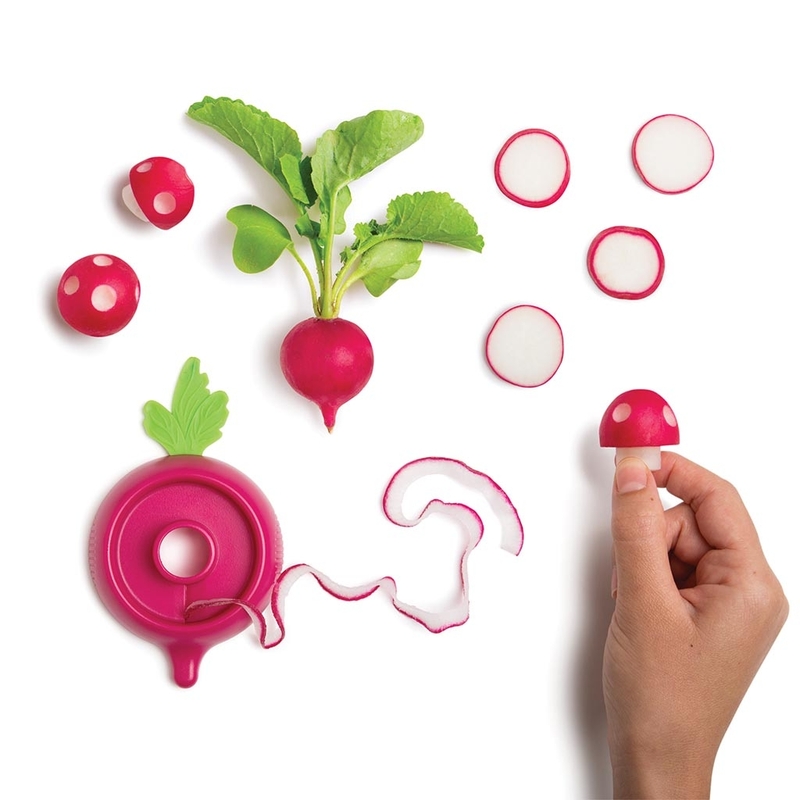 Fear not: The nifty Ravanello ‘supertool’ enables you to gouge spots out of the flesh of your radish and carve a stalk, transforming it into a miniature, poisonous toadstool. You’ll wonder how you ever lived without it. Why stop at posting your pouty, posed pictures on Instagram when you can eat them for breakfast? 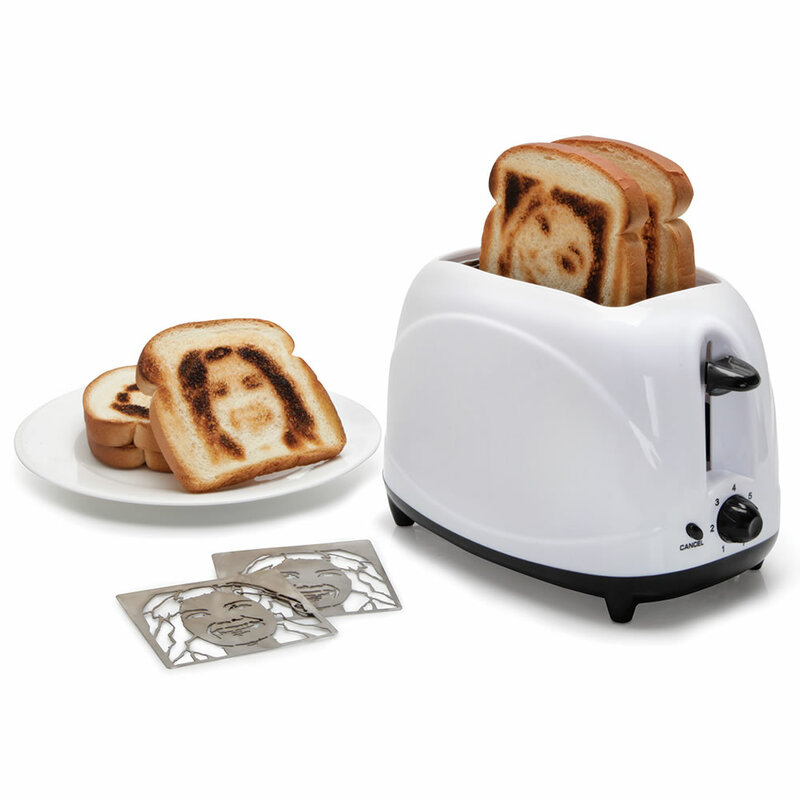 The Selfie Toaster imprints images on to slices of bread, providing the perfect slice of toast for someone who really loves themselves. Delicious. Why wouldn’t you want a kit that enables you to bore a hole through the middle of a banana and inject it with jam or chocolate spread? 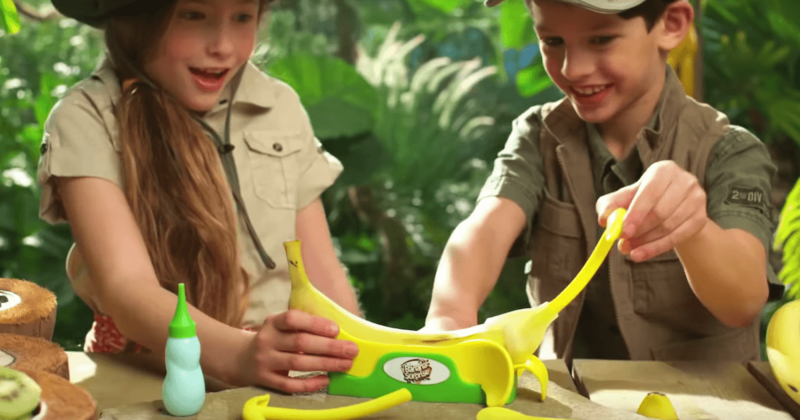 The Banana Surprise Yumstation is aimed at children, presumably to promote healthy eating, but pumping a banana full of sugary goo surely defeats the object? Need to separate your egg whites from your yolks? This is the man for the job. Despite looking like he is suffering from a terrible cold, Bogeyman will expertly divide the components of your egg by depositing the white. Through his nostrils. Like snot. If watching him in action doesn’t totally put you off your food, it’s pretty effective. 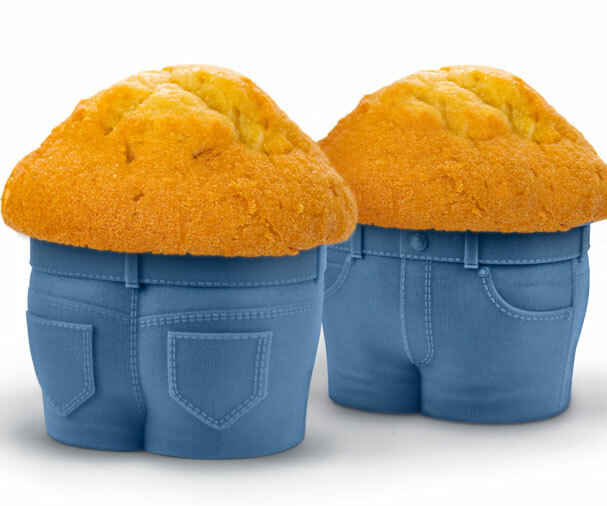 If you’d like to have your muffins served with a reminder of what might happen if you eat too many muffins, you need these cake moulds in your life. Why make the choice between eggs or sausages for breakfast when you can have both? 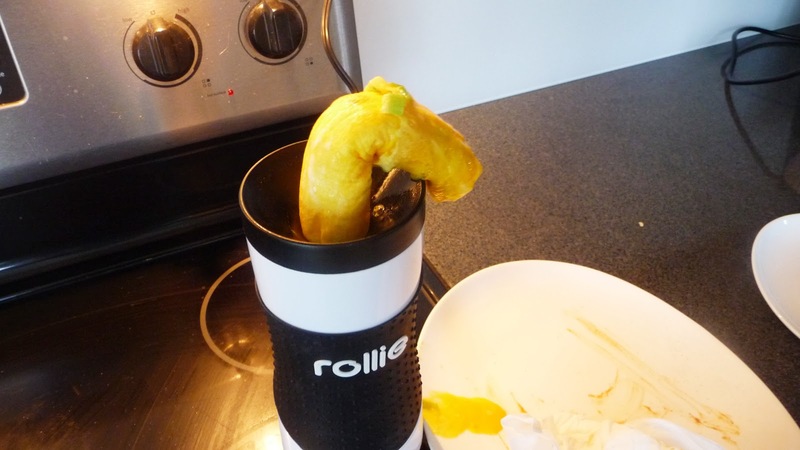 Designed to save time, the Rollie Eggroll cooks eggs quickly and turns them into a sausage-shaped… thing. When it’s ready, the egg-sausage thing crawls creepily out of the top of the device like a giant yellow worm poking out of the ground. Yum. Where to start? Perhaps with the name: who wants a thing called ‘Dogger’ in their kitchen? 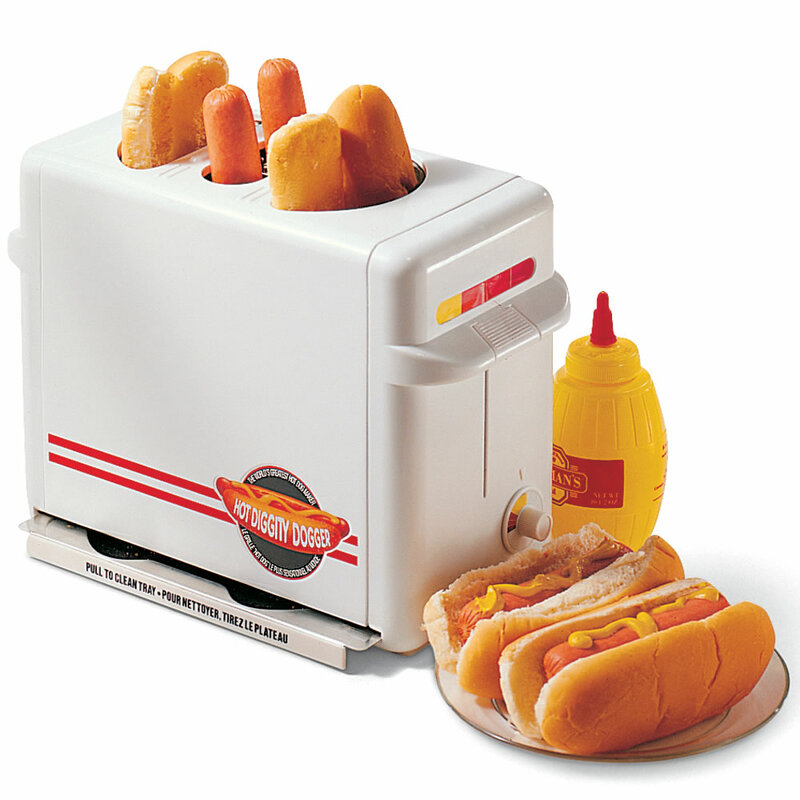 Still, if you’re a big fan of hot dogs, it might be worth investing in this bread-roll-and-frankfurter-toaster in one, the ultimate piece of hot dog making kit. This tea infuser is fun, but is perhaps less effective if your tea doesn’t happen to be the colour of blood. You really want to butter your toast but that block that just came out of the fridge will not melt and now your toast is getting cold. 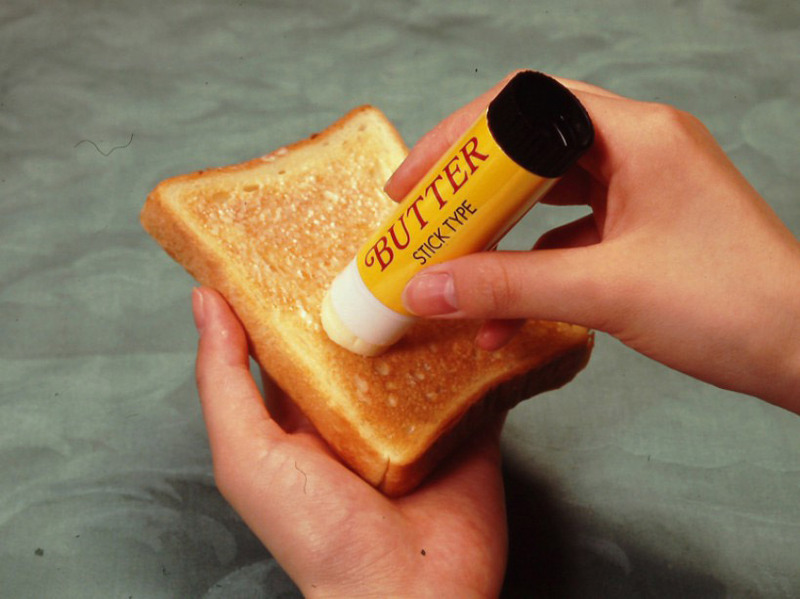 Don’t worry, though, all you need is a Butter Stick. Just don’t get it mixed up with an actual glue stick. 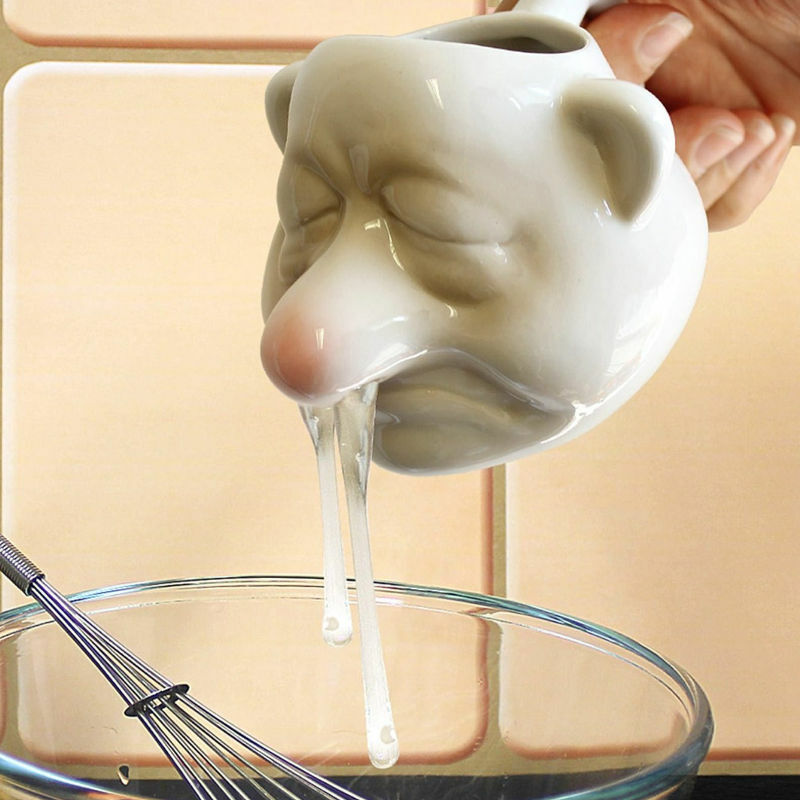 Oh look, it’s yet another slightly disturbing yolk / white separator. 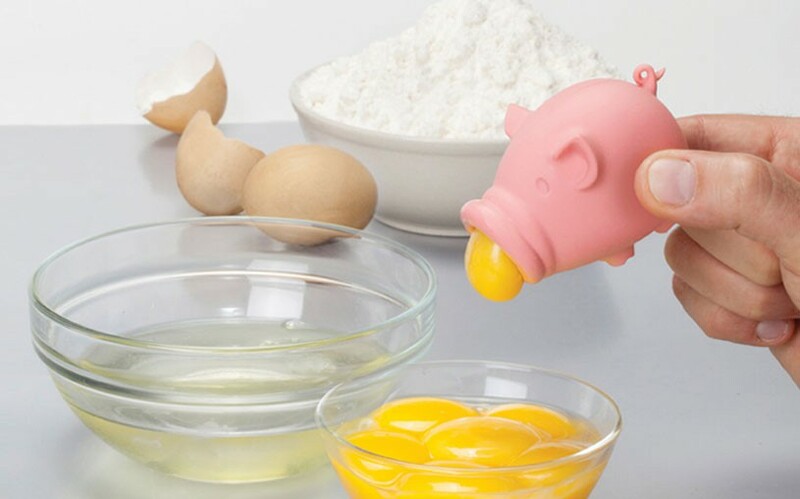 The YolkPig vacuums the yolk out of the egg and then deposits it elsewhere, thanks to its squeezable sucking motion. It’s definitely cuter than The Bogeyman, that’s for sure. We don’t care how ridiculous they look, onion goggles are a brilliant invention. 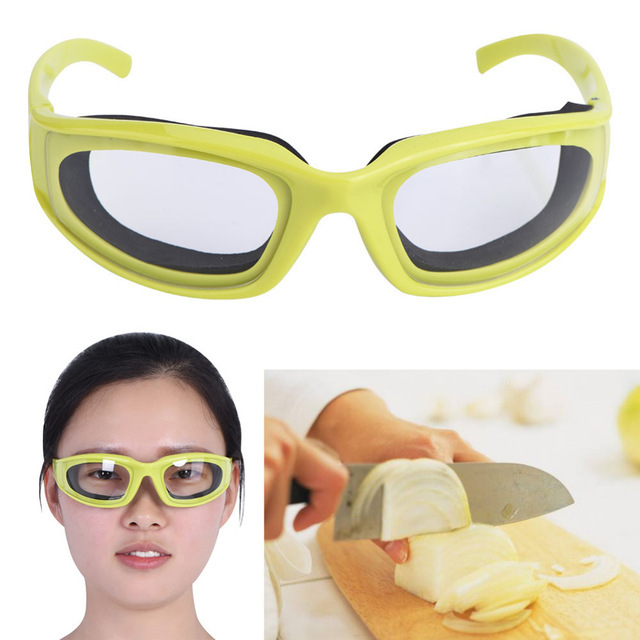 Anything that prevents the inevitable tears when chopping onions is a winner. Just don’t forget to take the things off before your dinner guests arrive. 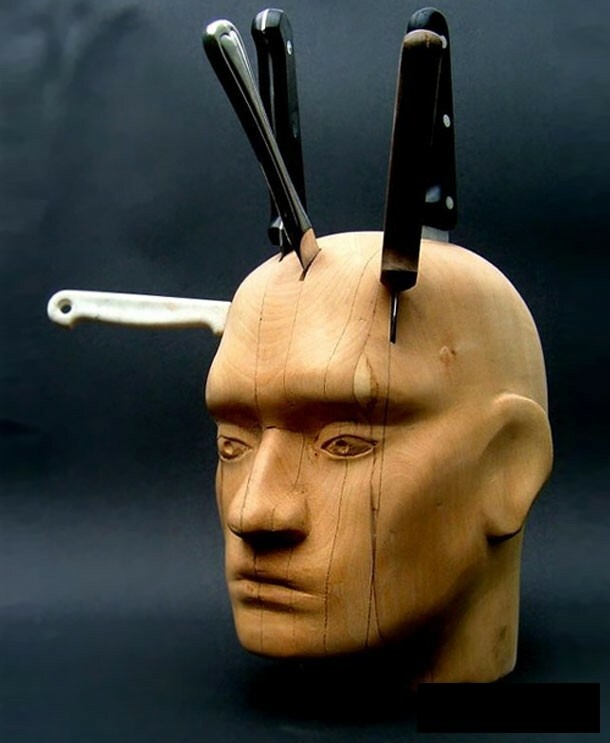 Why store your knives in a bog standard knife block when you can repeatedly stab a disembodied wooden head with them? 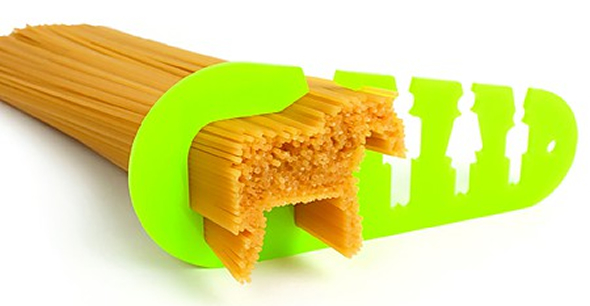 Ah, the age-old dilemma of how to measure the right amount of spaghetti. this nifty thing solves that, by letting you choose your portion size based on the size of the person who’s going to be eating it, or for when you’re ravenous, the size of a horse. Don’t just send a text message or put a note on the fridge, that’s so boring! 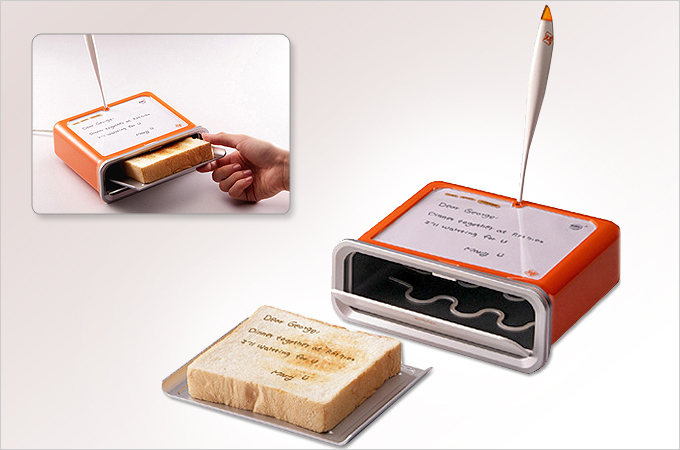 With this ingenious device, you can say everything you need to, from ‘I love you’ to ‘Put the bins out’ on toast. more interesting than beans. Never burn your hands / set a tea towel on fire on the hob again! 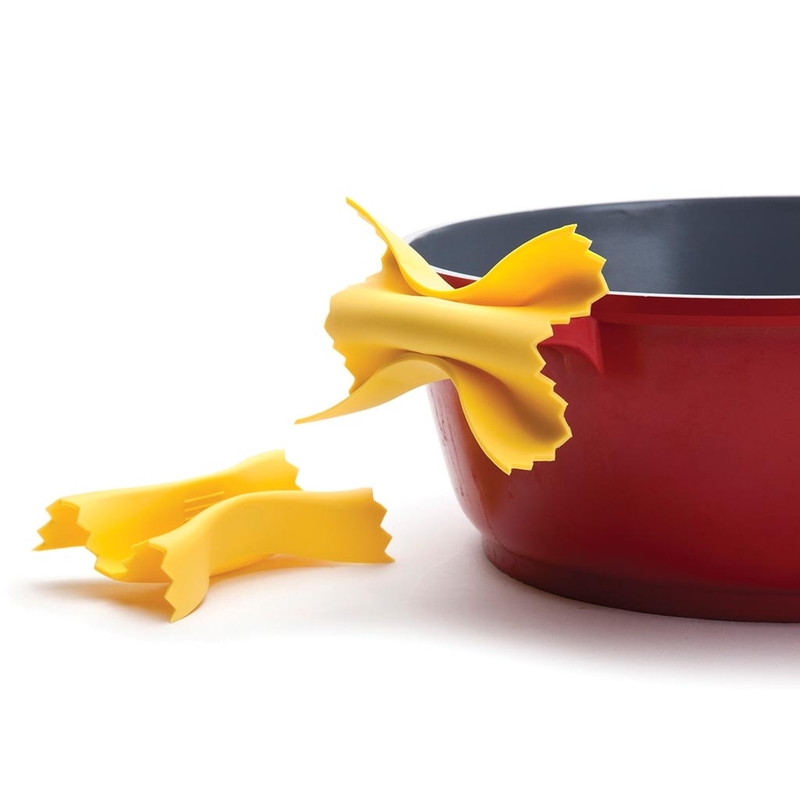 These clever silicone pot holders, in the shape of pasta, are the ultimate kitchen hand protector. Perfect for foodies, as long as they don’t try to cook them.